This is a beautifully written book that has a lyrical quality to it, while giving a realistic view of the experiences of these teenage boys. It’s set in the late 1980s, which is an interesting choice–I think it heightens the stakes in Aristotle and Dante figuring out who they are and how comfortable they feel they can be, given how less accepting many people were at that time. 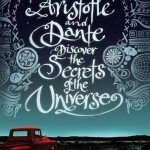 Even their names stand out more in the late ’80s than they would now: Dante has been a pretty trendy name for a while, and in a lot of circles the name Aristotle wouldn’t raise an eyebrow. I read a lot of this with a sense of dread. Dante seems like such a Manic Pixie Baby Gay that his tragic death or rejection felt inevitable. I was starting to get preemptively annoyed and disappointed. Even though there are a few predictable plot points, I was really happy to find that the ending is pretty uplifting and life-affirming, instead of showing another teenager who is doomed for being sensitive and gay. It’s important to show teenagers that being different doesn’t have to end in disaster, and that’s especially true about being gay. This book is great in looking at identity. In addition to sexual orientation, there’s a lot about being Mexican, and what that means. 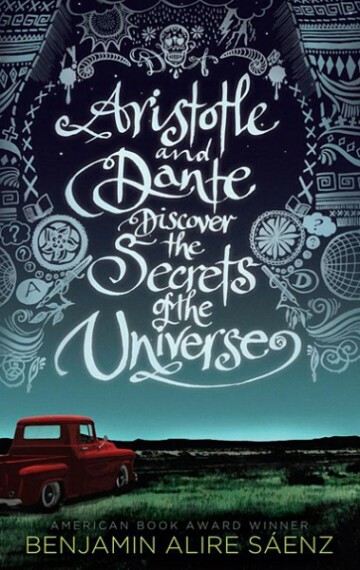 Both characters are Mexican-American, but Aristotle and Dante show varying degrees of ease with that identity. It would be interesting for students to explore how the story could have been different if it had been set in present day, instead of 30 or so years ago. Of course, there’s the bullying angle to explore. This is a great book for struggling older readers in particular–it’s high interest for middle/high school, but very readable. 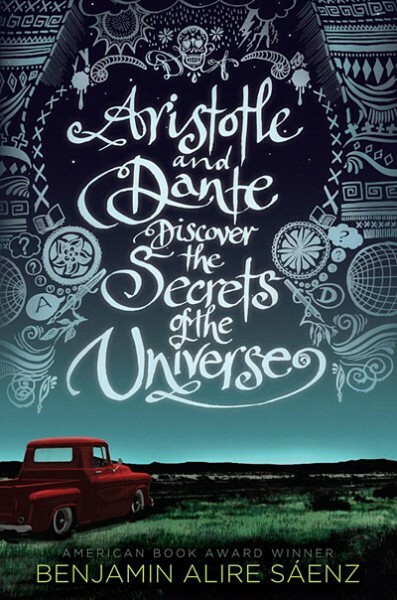 It’s a great book, but some discussions that Dante and Aristotle have are a little too high school for my 6th graders. I’m giving my copy to our 7th/8th grade ELA teacher for her classroom library. - Gay coming of age without doomed characters!